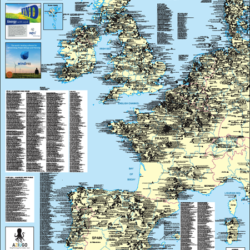 This map is published every year and shows all areas in Europe where wind farming is proposed, planned under construction or in place. 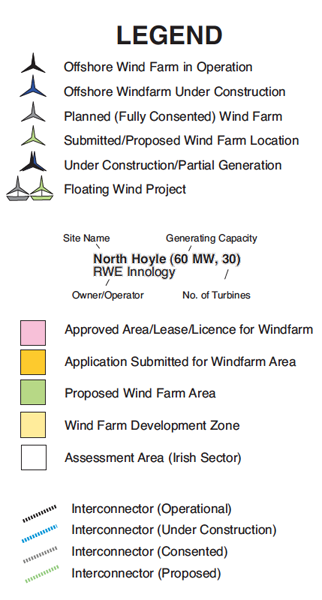 Offshore wind farm areas are colour-coded to show the stage that area is at together with the developer, proposed MW and No. of turbines. This includes areas in offshore rounds, areas under application, areas granted and fully consented areas. 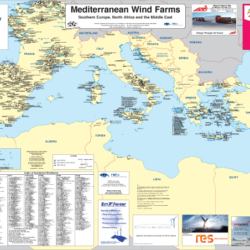 Wind farm symbols generally only occur on the map when an offshore wind farm is fully planned (consented), under construction or built. 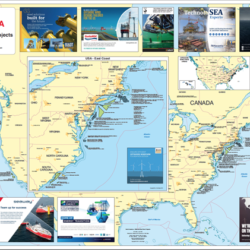 Offshore cable routes are also included. 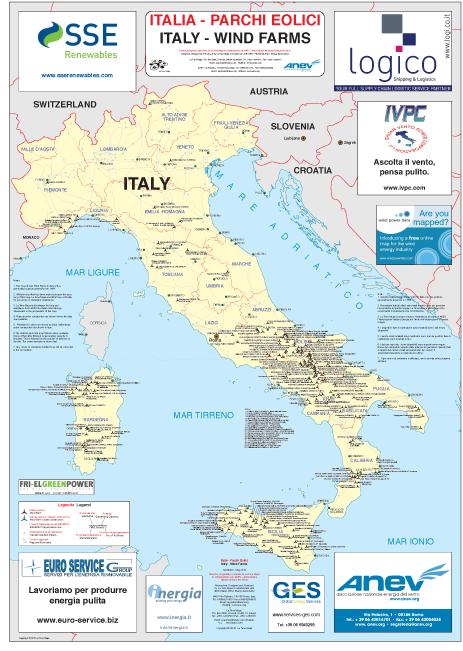 Insets appear for the less busy areas of the Mediterranean Sea, Northern Norway and Northern Gulf of Bothnia. The 8th edition is now available.